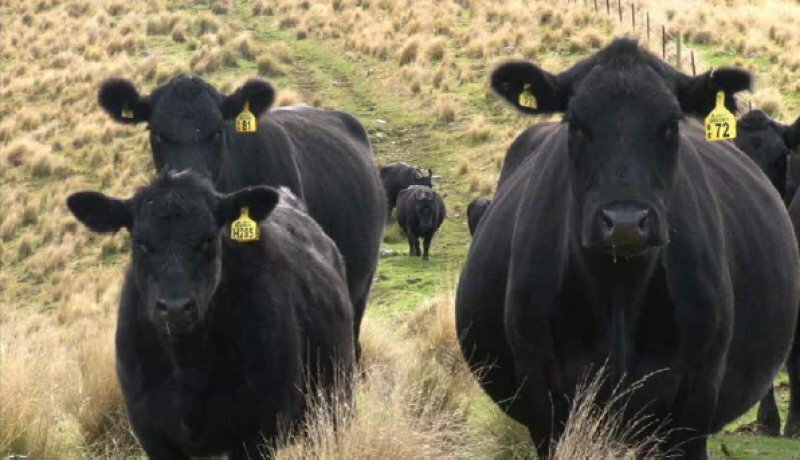 We breed Angus cattle and Romney / crossbred sheep that thrive in the New Zealand hill country environment. The Meadowslea Romney Stud was founded in 1929 by the Giddings family in Fairlie, meaning a very solid background of selection for conformation, structural soundness and performance recording. Since 1990 the ewes have been run unshepherded on tussock country, resulting in easy-care sheep with unparalleled mothering ability and survival. We now also breed a variety of cross-bred sheep incorporating Texel, Perendale, and Kelso genetics, as well as the blackface Kelso Terminal sire. Meadowslea Angus Stud was founded in 1985 with the purchase of Capital Stock Heifers from Turihaua Station in Gisborne. The herd has grown steadily since then with 600 Angus females mated this year. The cows run on tussock country west of Fairlie at an altitude of 1500 to 2000 feet, and in that environment good fat covers and constitution are critical. Across both aspects of our operation, the emphasis is on running functional stock that thrive in what can be a harsh and demanding environment. Our annual in-calf female sale is rapidly approaching! Catalogue out now!